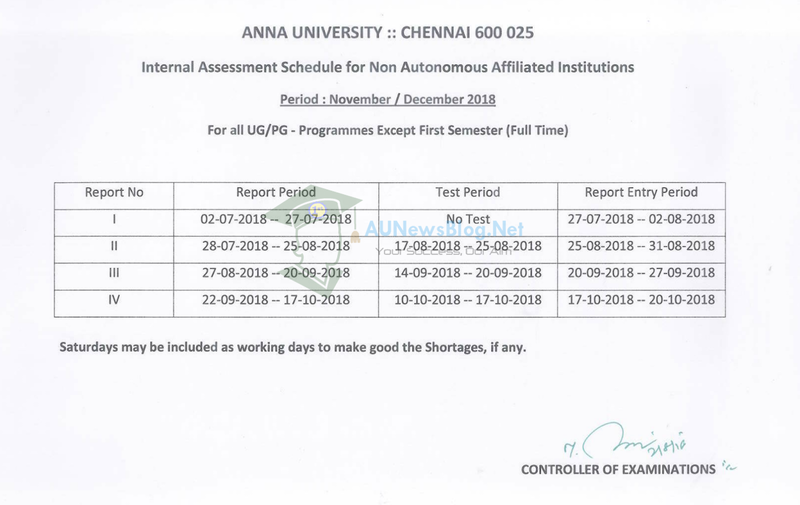 Today, Anna University published COE1.annauniv.edu Internal Marks Assessment Schedule for Semester 3rd, 5th, 7th Semester. This assessment schedule not applicable for the first semester. AUNewsBlog will release Assessment schedule for 1st semester soon. If you don't know about Anna University Academic Schedule July 2018 to December 2018 then check our previous post on the below link. 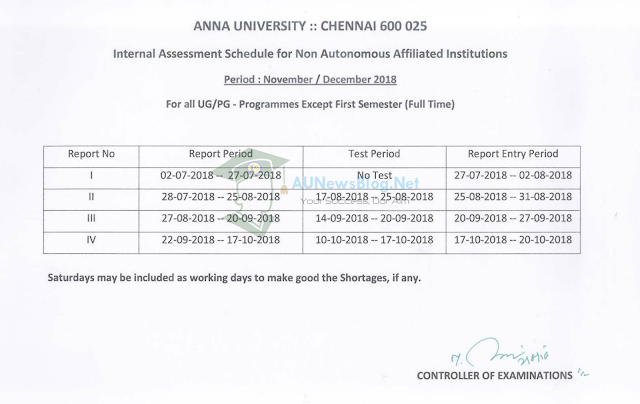 Anna University Academic Schedule July 2018 to November 2018. Note: This Internal assessment Schedule applicable for both UG and PG full time.